When capturing your own video content, whether it be via your own smartphone, camcorder or maybe more professional video equipment, you will want to spend some time composing your shot and making sure everything is placed correctly in the frame. One technique that will greatly enhance the quality and structure of your shot is called "the rule of thirds". The rule of thirds, although a simple technique, can create a whole lot more energy and interest in a composition. This is achieved by splitting the frame into nine equal parts using two equally spaced horizontal and vertical lines. The important elements of the shot, whether they be people or objects should then be placed where these lines intersect each other. 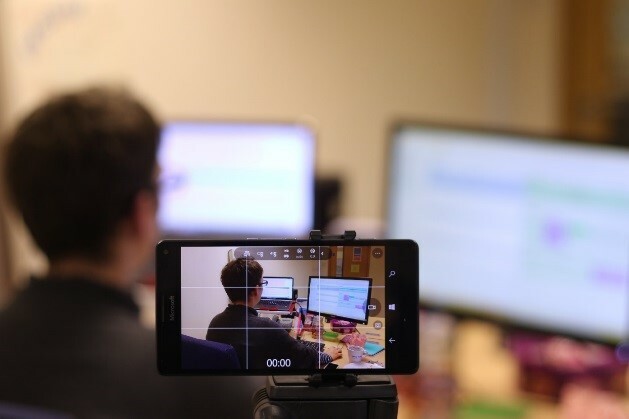 Common malpractice when capturing video is to place the main element of the video in the centre of the frame, but if you are switching between various clips in a video this can become repetitive and quickly result your audience losing interest. However, by using the rule of thirds technique you are essentially creating four separate areas within the frame that can be used to place the main element of your shot. By using each of these intersections through varying video clips you are instantly making your video far more interesting to look at with minimal effort required by you. Another benefit of using the rule of thirds, is that by placing the main elements of your shot off-centre along the intersection points, you are able to include more visual content within the frame, such as an interesting background or the placement of objects that are relevant to the video. Most smartphones, digital cameras and camcorders have the ability to switch an onscreen grid overlay on or off to dissect the frame into 9 equal parts. This won't appear on the final video file that you capture, but will make it far easier for you to frame your shot prior to pressing the record button.